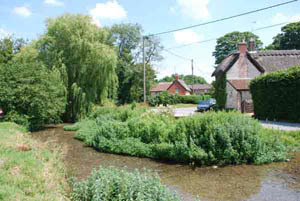 The River Wylye is a chalk stream in southern England, where I did some work during 2010 and 2011. 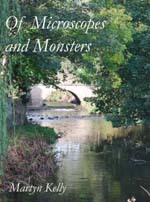 The sequence of pictures are based on a single submerged stone in the headwaters of the River Wylye at the village of Kingston Deverill, about 15 km upstream of Warminster in Wiltshire. At this point, the Wylye is already quite wide, but very shallow, only about 10 cm deep, with a substratum consisting mostly of pebbles and gravel, mostly of flint, but with about 10-20% of the stream bed covered by cobble-sized stones. These cobble-sized stones were noticeable not just for their size relative to the rest of the streambed, but also because of their dark coloration. 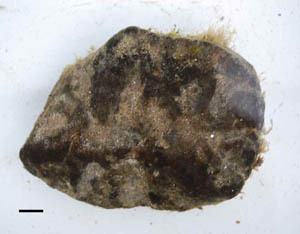 Closer inspection shows that there are patches of these darker areas, and scraping with a fingernail showed that these dark areas overlay a millimetre or two thickness of fine silt . 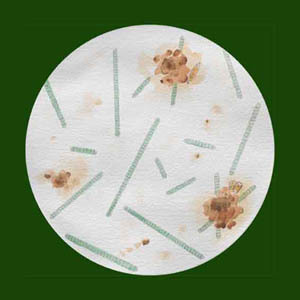 Under the microscope, these dark patches were shown to be composed almost entirely of the cyanobacterium Phormidium flavosum. There were some diatoms present (mostly Nitzschia spp and Staurosirella pinnata ag.) but these comprised less than 10% of the total. 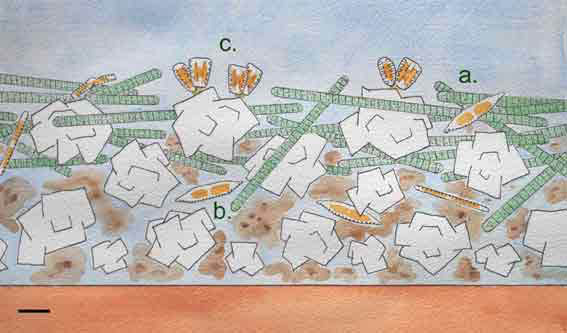 Combining the field and the microscopic observations allows us to build up a picture of how the biofilm is composed. The relative stability of the cobbles, relative to the pebbles and gravel that predominate on the river bed allows a thick biofilm to develop which, in turn, leads to light limitation. Organisms such as the Phormidium filaments (a.) are able t glide towards the light and form a mat of interwoven filaments within which sand and silt particles are trapped. As the mat gets thicker, so the filaments constantly adjust their position in order to maximise their exposure to light. These conditions also favour motile diatoms such as Nitzschia spp. (b.) over sessile ones. Staurosirella pinnata (c.), which is also present on the cobbles, is common in various habitats within chalk streams. It can grown attached to sand grains and it may grow here attached to particles within the biofilm, or it may represent “contamination” from areas around the Phormidium-dominated assemblages. 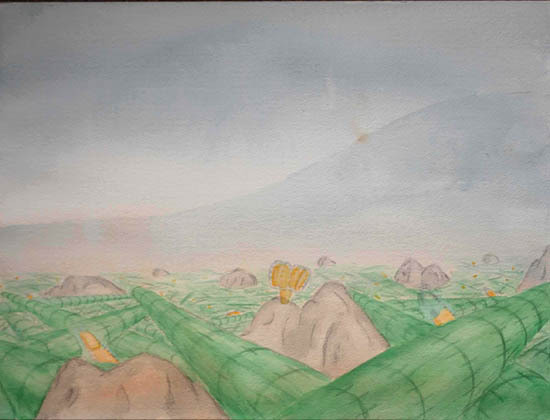 The final picture in the sequence shows this microscopic assemblage of organisms displayed as a “landscape”, as a grazing invertebrate (such as a chironomid larva) might encounter it.